Time Warner, 21st Century Fox and the Weinstein Company joined the campaign Thursday to pressure Georgia Governor Nathan Deal to veto what critics are calling an "anti-LGBT" bill. The Weinstein Company said it would end its plans to film a biopic of Richard Pryor in the state later this year. The movie is to be directed by Lee Daniels and will star Oprah, Eddie Murphy, Kate Hudson and Tracy Morgan. "The Weinstein Company will not stand behind sanctioning the discrimination of‎ LGBT people or any American," the statement said. The company said it "will move the production if this unlawful bill is enacted. We hope Governor Deal will veto bill HB 757 and not allow sanctioned bigotry to become law in Georgia." Time Warner, the corporate parent of CNN, said in a statement Thursday, "We urge Governor Deal to exercise his veto." The three divisions of Time Warner (TWX) -- HBO, Turner and Warner Bros. -- all do business in Georgia. Turner, the division that houses CNN, is based in Atlanta and has thousands of employees in Georgia. 21st Century Fox (FOX) also joined the list of opponents on Thursday. "On behalf of 21st Century Fox's many creative partners and colleagues who choose to film their projects in the beautiful state of Georgia, we join the growing coalition of businesses in asking Governor Deal to veto this bill," Fox said. 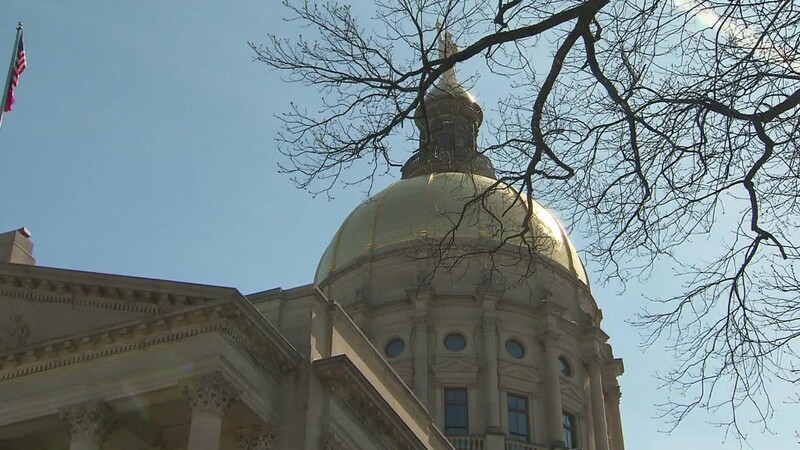 Comcast (CMCSA), Discovery Communications (DISCA), Sony Pictures, Lionsgate and Starz, which shoots "Survivor's Remorse" in Atlanta, also urged Deal to veto the bill on Thursday, but they stopped short of saying they would leave the state if the bill is signed into law. Deal has until May 3 to decide whether to veto the bill. On Wednesday several other major media companies -- Disney (DIS), Viacom (VIA) and AMC Networks (AMCX) -- publicly opposed the bill. Other firms like Apple (AAPL), Dell, Hilton (HLT) and Marriott (MAR) have also spoken out. Disney said Wednesday it would end filming at Pinewood Studios outside Atlanta. It has filmed several movies there, including "Guardians of the Galaxy Vol 2." AMC's popular series "The Walking Dead" is filmed in Georgia. The company did not say whether or not it intends to move production elsewhere if the bill passes. The other media companies have stopped short of saying they'd boycott the state. The bill in question, recently passed by the state's Republican-controlled legislature, would give faith-based organizations in Georgia the option to deny services to gay people. Proponents say the bill, dubbed the Free Exercise Protection Act, would protect religious freedoms. Opponents like the Human Rights Campaign say it is "anti-LGBT" and "appalling." The bill is awaiting Deal's signature. Time Warner's statement said, "We strongly oppose the discriminatory language and intent of Georgia's pending religious liberty bill, which clearly violates the values and principles of inclusion and the ability of all people to live and work free from discrimination." "All of our divisions -- HBO, Warner Bros. and Turner -- have business interests in Georgia, but none more than Turner, an active participant in the Georgia Prospers campaign, a coalition of business leaders committed to a Georgia that welcomes all people," the company added. "Georgia bill HB 757 is in contradiction to this campaign, to the values we hold dear, and to the type of workplace we guarantee to our employees."